After posting the item about measuring rain and snow (below), the question came up, "Is a rain gauge a good gift for a weather buff?" My thought is, no. Because it has to be mounted outdoors and read periodically, it 'obligates' someone to do this do demonstrate they liked the gift. So, unless a hint is dropped that a gauge is desired I probably wouldn't give one. 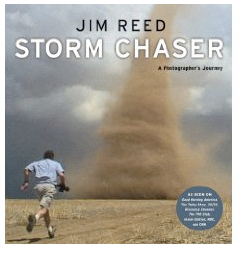 Here is a good gift suggestion: My friend Jim Reed's book, Storm Chaser. Its a really good book with great pictures. I recommend the paperback version because it has been updated since the hardcover version was published. Oh, and running toward a tornado is not a good idea!